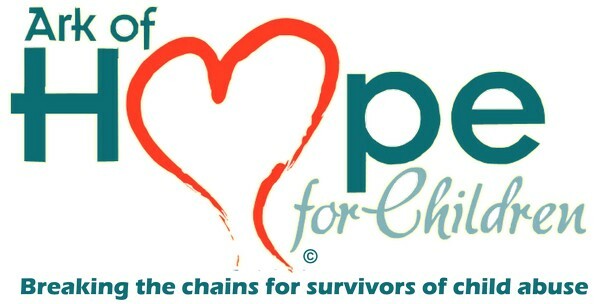 Ark of Hope for Children is empowering advocates and donors to bring care and awareness to those victimized as children by human trafficking, child abuse and bullying. Ark of Hope is a human rights umbrella organization using a trauma informed approach to serve survivors through our various programs. This approach acknowledges that traumatized people often respond to daily life quite differently even years after their traumatic experiences ended. If we can address their trauma, we can change lives. Unconditional love, understanding and mentoring support can empower victims to mold the challenges of their past into hope filled futures as thriving survivors. Statistics we have gathered about child trafficking, child abuse and bullying show that intervention is highly needed. Click the links above to the latest statistics or click on our programs below that highlight our efforts to mobilize lighthouses of hope for survivors throughout the U.S. and beyond. Ray Osika, Verna Corbett's brother and ex-husband, and Blair Corbett's step-brother passed away Thanksgiving Eve, 2018. Such a loving and caring man, Verna and our large family cared for him in our home, even as we moved from state to state, for 20 years. He never saw me in a negative way, nor did i with him, but he graciously accepted me and us. 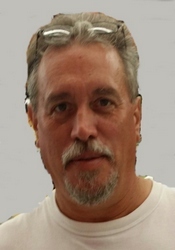 Ray was half paralyzed from a stroke 31 years ago, that came as a byproduct of a brain tumor operation. At the same time he lost his eyesight completely when they were forced to cut his optic nerve. Yet Verna painstakingly made things happen so he could walk with a cane. He lost that ability in October 2016 after a fall broke his hip. Yet once mended, he never skipped lunch and dinner at the table with our oversized family. No way would any of us let that happen. He loved hanging out in his special recliner all day listening to old classics that he liked so much like Mash, The Golden Girls, Andy Griffith Show and Rosanne. They made him smile and laugh no matter how many times he listened to the same show. And when it was those shows it was classic soft rock that he grew up with. All of these kept him centered on love, joy, laughter and hope. Ray loved everybody... "I love all the people" he would remind us almost daily, so happy that we let him live in the home and not some facility. I took him to every doctors appointment, whether figuring our how to transfer him from car to wheelchair, or traveling with him by stretcher transport or ambulance, as the case may be. I am so blessed that he would often say that I was his Hero. He accepted and showered love on every child, never forgetting their birthday, whether his 2 birth sons, or my 3 birth children, or the 5 special needs children we adopted from foster care; including sons wives, daughters husbands, and the 7 grand children. As the family grew older and some moved away, others, especially our daughters with "special abilities" stepped up and provided care and support in ways the never let Ray feel even an ounce of shame. Ray LOVED sports, especially his Chicago Bears and Cubs... and his Florida Gators! His memory for sports statistics was amazing. He so greatly loved when anyone, especially his sons Brett Osika and Derek Osika would spend time with him watching their games. Ray cheered, and moaned over plays and seasons as if he was right there and could see every game. Ray I.... WE, love you so much! We are so thankful that now you can see everything again, you can walk, run and jump. And even though you rarely complained of your physical problems, now in Heaven with Jesus, you have NO memory of them at all. Da Bears.... Come on Cubbies.... Go Gators! Child maltreatment is conduct toward a kid that is beyond the norms of behavior and constitutes an extensive risk of causing emotion or physical harm. Types of maltreatment that are recognized include emotional abuse, physical abuse, sexual abuse, and neglect. The origin of maltreatment is varied and hardly understood. 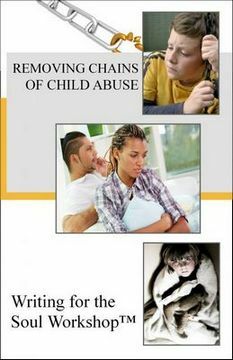 Neglect and abuse are associated with delayed growth and development, mental issues and physical injuries. The analysisis based on physical examination, lab tests and sometimes history. Management entails treatment of injuries, mental conditions, and mandatory preparing the child for schooling through foster care to keep them safe. With the arrival of Christmas 2017 Ark of Hope for Children wishes to express our deep gratitude to our many followers, volunteer supporters, advocates and of course the survivors that have trusted us. I cannot truly express how humbled I am by your level of care and patience with us during the past year. This year I…. WE hit severe compassion fatigue (burnout) after doing this for 20+ years and heavily online since 2008 when we began assisting survivors of child trafficking and child abuse online. Following the suicide of one teen and rejection of support by another, I spent a good portion of this year feeling as if I could not find words that could help others when I struggled at times to help myself. Yet you stood by us. Crumbling finances took their toll as well. It is with great joy that we think of all of the followers, survivors, contributors and volunteers that Ark of Hope for Children is blessed to know. You have so encouraged us this year and we are grateful for every one of you. For many survivors holidays can be a difficult time indeed; From memories of personal atrocities they faced to missing what could have been and wasn’t for them. Yet with gentle, caring time spent volunteer advocates and peer survivors they are finding glimmers of hope. Ark of Hope for Children strives to bring as many glimmers as possible, and that has only been possible because of your support for us. Guest post by Carl McLean of MomBible. According to the U.S. Department of Justice, 160,000 kids per day do not attend school for fear of being bullied. This is a terribly sad statistic. These children live in a state of fear and dread of the physical, verbal, and mental aggression they face each day. Those who do attend school go around in a chronic state of anxiety and depression. The long-term effects of bullying and living in this state of mind of anxiety and depression can be catastrophic to a child. If they are left in this toxic environment, it will affect them; possibly for the rest of their lives. Prolonged exposure to bullying can have detrimental effects on a child’s self-esteem and their ability to trust. They can have trouble forming good relationships and are at a higher risk for substance abuse. We all need to take an active role in preventing bullying. Sometimes, recognizing a bully is easy but there are other times when it may be less obvious. We are so grateful for the companies that support our work!